Looking to become a smarter 3PL customer? Great. KANE can help. Please help yourself to the intelligence-boosting eBooks below (no forms to fill out). We'll also follow up with a few (just a few) emails with related KANE articles we hope you will find useful. 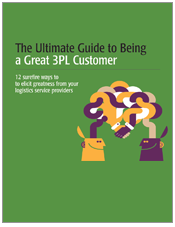 This quick-read eBook lists 12 best practices designed to elicit greatness from your 3PL, and pave the way for breakthrough supply chain performance. 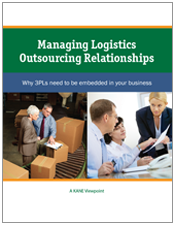 This paper explores how current models for managing outsourced logistics relationships limit a 3PL's ability to drive innovation.